m- Don&apos;t forget to pick me up @ the airport at 4:00 p.m.
Is it possible to fall in love with a person you&apos;ve never met. 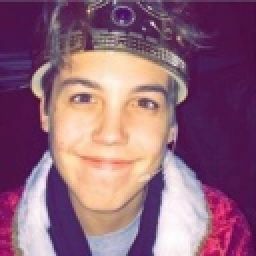 I don&apos;t know, but I&apos;ve fallen for Matthew these past few years, he seems so nice and caring over the Internet, and I can&apos;t wait to meet him to actually see him and hug him in person. I know what he looks like and he knows what I look like, and I&apos;ve got admit he&apos;s pretty beautiful to me. Right now it&apos;s 1:00 so I have 3 hours to get ready, I went to take a shower and did all my personal hygiene stuff. I put on some jeans and a hoodie, and I put on my gray vans. Once I finished it was already 3:30, wow I take forever to get ready. I went downstairs," Mom, come on Matthew&apos;s flight is almost landing." She came out of the kitchen," Okay, I&apos;m coming, lets go." I can&apos;t believe today&apos;s the day that I&apos;m meeting my internet bestfriend, she&apos;s so beautiful from what I&apos;ve seen, she seems like a princess that is from a fairytale. I&apos;m so excited that I can&apos;t even sit still, but I doubt she likes me like that, y/n would go for a more stronger, handsomer guy that me. Finally my flight landed and I was looking for y/n, then I saw her, wow she&apos;s more beautiful in real life, oh my god, ugh I&apos;m getting butterflies in my stomach. Matthew&apos;s flight finally landed, then I saw him, he looks so much cuter in person, I ran up to him, he dropped his stuff," Matthew, I&apos;m glad you&apos;re finally here." I hugged him so hard, "I&apos;ve waited so long to meet you and here we are." He said, his voice is like heaven I could listen to all day long, but I doubt he will go for a girl like me, he wants a more prettier, skinner girl than me. "Come on lets go." I grabbed his hand and I felt butterflies. When she grabbed my hand I felt butterflies again, I fell for her and hard I&apos;m going to ask her to be my girlfriend. We finally got to her house, it was a pretty big house, I grabbed my suitcases, and went inside. Y/N, showed me to my room," Here is your room, Matthew, dinner will be ready in a few minutes so I&apos;ll call you when it is ready." I started unpacking and I got bored so I went on my phone, I checked Twitter and replied to some of my fans, I forgot to tell you I&apos;m Internet famous, and I&apos;ve told y/n that already and she really didn&apos;t mind. I heard y/n say," Matthew dinner&apos;s ready." I smiled," Alright, I&apos;ll be right there." I put my phone down and went downstairs. "Thanks for the dinner Mrs. Y/L/N, it was delicious." She smiled, "I&apos;m glad you liked it Matthew." 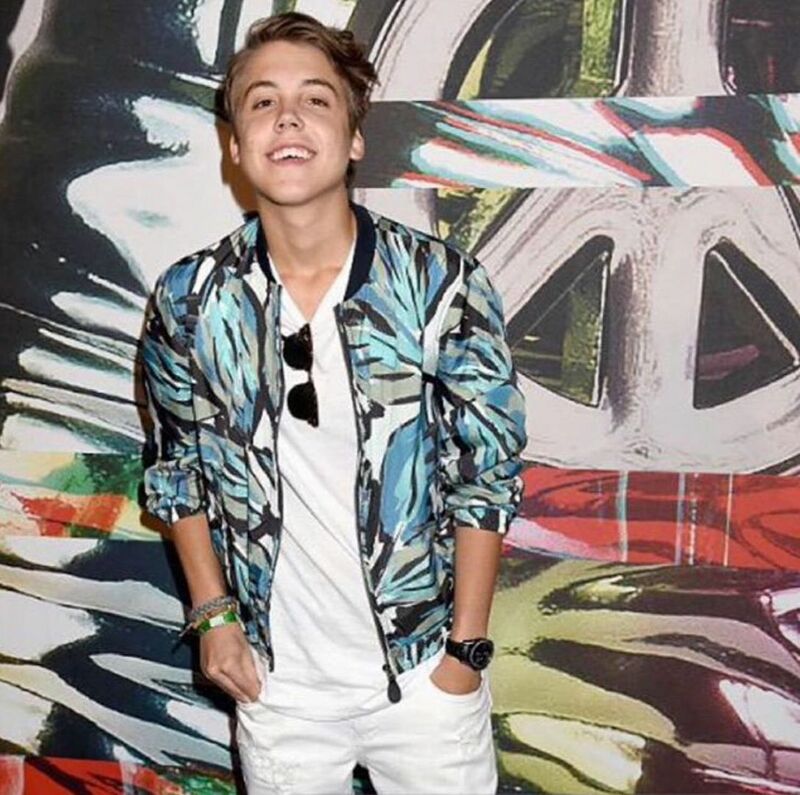 Then y/n came," Come on Matthew lets go upstairs." I smiled, she grabbed my hand and we went upstairs, ok this is my chance to ask her. "Hey y/n, can I ask you something?" She said," Sure ask away." I scratched my neck nervously," Well these past years, I kinda fell for you, you are so beautiful and caring, would you do me the honors of being my girlfriend?" When Matthew asked me to be his girlfriend I said," Yes Matthew, I would love to be your girlfriend." He went up to me and kissed me," I&apos;ve always wanted to do that." 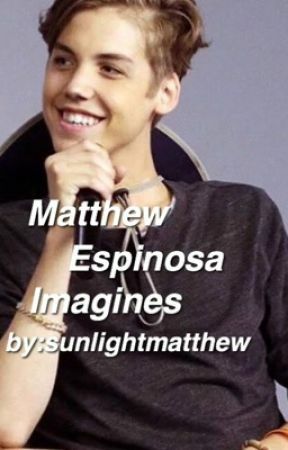 I smiled," I love you Matthew." He kissed me again," I love you too, y/n." A/N: I feel like my imagines are so similar to my other imagines, I&apos;m sorry for not updating, I started school on Wednesday and I kinda lost track.